Adobe offers not one but three great-value Photography Plans, so which is the right one for you? Adobe makes software for a whole range of different creative needs, from design, illustration, videography, page layout and right through, of course, to Photoshop and Lightroom for photographers. In fact there are three different Adobe Creative Cloud Photography Plans, all offering terrific value for money for those who need Photoshop CC and/or Lightroom, but aimed at three distinct types of user, so we’ll help you figure out which one is right for you. How do the Adobe Photography Plans work? Adobe has now moved fully over to subscription-based software. Instead of buying a Photoshop software license outright, you pay a monthly ongoing subscription instead (NB it’s cheaper to pay a year at a time). It works out a good deal cheaper than the old method of buying a license outright and then having to pay for regular updates, partly because you don’t have to find a huge chunk of cash up front like you did in the old days, and partly because you don’t have to pay for new versions any more. What’s more, you get new camera support as soon as it arrives, the ability to synchronize your photos with the web and your mobile devices, and varying amounts of online storage for showcasing and sharing your work. This is the ‘regular’ Photography plan, and the one we reckon is best-suited for most photographers. It includes Adobe Photoshop CC, Lightroom Classic CC, Lightroom CC, Photoshop Mix & Fix mobile apps and Adobe Spark Premium for quickly creating photo and text layouts and animated videos for sharing with friends or posting pin social media. So why two versions of Lightroom? Lightroom Classic CC is the version most photographers will be familiar with and is based around regular desktop storage for your photos. Lightroom CC is a new product designed around online photo storage using Creative Cloud. 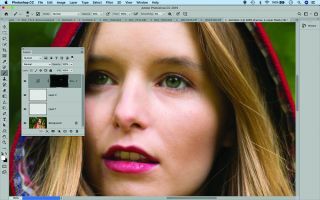 It doesn’t have all the tools of Lightroom CC Classic, but its stripped-down interface is fast and efficient and it’s ideal for working on the move in lots of different locations (and on different devices). If you decide Lightroom CC best suits the way you want to edit, organize and access your images, however, the free 20GB storage you get with the regular Photography plan will soon be used up.This is where the Photography plan with 1TB comes in (next section). To use Lightroom CC’s web-first storage properly, you need plenty of online storage space – and that’s what the 1TB plan is designed for (you can upgrade your storage capacity if you need to). Obviously cloud storage costs money, hence the price difference compared to the regular Photography plan, but this will enable you to explore all the advantages of cloud storage with Lightroom CC and you still get to use Photoshop CC as part of your subscription. Like the regular Photography plan, the Photography plan with 1TB also comes with the Photoshop Fix & Mix and Adobe Spark Premium add-ons. Lightroom CC’s ‘web-first’ approach brings some key advantages. It means that your full photo library, together with all your albums and edits, is available everywhere, and you can edit and download images at their full resolution. What’s more, because your images are stored in the cloud, Adobe’s Sensei AI technology can automatically recognise and ‘tag’ many different kinds of subject – you may never have to plod through manual keywording again! In fact, if you decide Lightroom CC and web storage is the way forward, there is a third Photography Plan just for you… see the next section. This plan costs the same as the regular Photography plan, but comes with 1TB of cloud storage for your photos. This sounds like a great deal, but what you need to know is that Lightroom Classic and Photoshop CC are not included in the plan. The Lightroom CC plan with 1TB is perfect for those whose editing needs are relatively modest but who definitely need to be able to access their photo library and all their images everywhere, and on any device. If you’re pretty sure you will also need Photoshop CC for more complex image montages, layers and effects, however, then the Photography plan with 1TB will be a better option. Not everyone is a photography expert, or ready to commit to a subscription plan. For less advanced users, Adobe still offers its novice-friendly Photoshop Elements program for a regular low-cost one-off licence fee. Photoshop Elements actually consists of two programs, not one. It has a separate Organizer app for managing, organising and searching your whole photo collection, and an Editor for carrying out quick fixes or ‘guided’ edits, and there’s a third, ‘expert’ mode for more experienced users. Or, if you’re interested in video as well as stills photography, there’s an Adobe Photoshop Elements 2019 & Premiere Elements 2019 bundle too, where you get a novice-friendly version of Adobe’s Premiere video editing application. For regular photographers who like to store and edit their images on their own computer, the regular Photography plan (20GB) is great value and comes with Photoshop CC and both versions of Lightroom (CC and Classic CC). If you decide you like the flexibility offered by cloud storage, the Photography plan (1GB) is the logical upgrade or, if you’re ready to ditch desktop storage altogether and you can do without Photoshop CC, the Lightroom CC plan is the affordable alternative. But if all this is a bit too high-powered for your photographic needs and you just want simple, novice-friendly photo-editing software without monthly payments, Adobe Photoshop Elements 2019 is the one to go for.